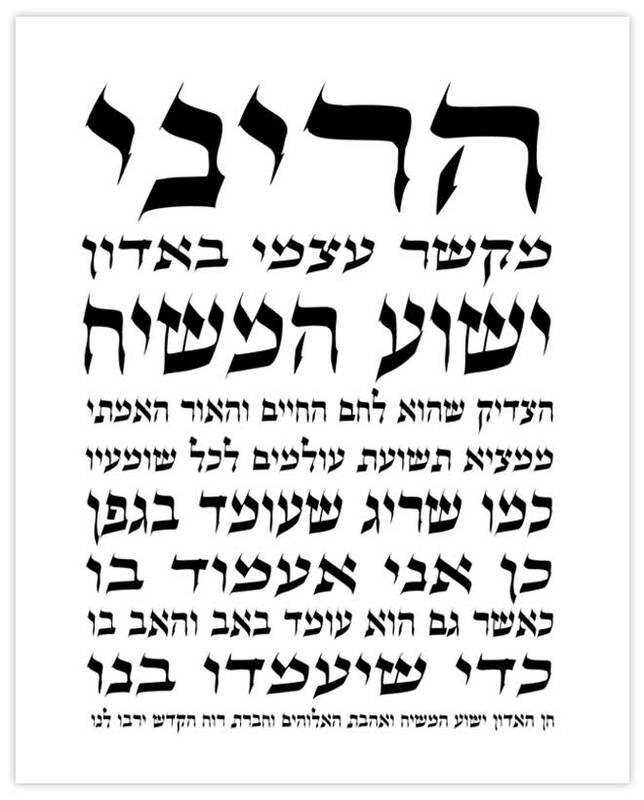 Decorate your home, office or study with this beautiful 8" x 10" print featuring the Hebrew prayer, Hareini MeKasher (I Hereby Join). Ready for framing or to be displayed as a stand-alone print. Like a branch that remains in a vine, so may I remain in him, just as he also remains in the Father and the Father in him, in order that they may remain in us. May the grace of the Master, Yeshua the Messiah, the love of God, and the fellowship of the Holy Spirit abound to us.